Gold Screen | We Can't Hear the Mime! After my total loss of faith in the Academy before during and after the 86th Academy Awards I decided to re-engage with the Oscars for this year’s 87th awards. While I didn’t manage to see all the nominated films and didn’t grace anyone with my terribly inaccurate predictions I was much happier this year to see some of the films I had genuinely loved (Boyhood and The Grand Budapest Hotel) being nominated and was excited for the ceremony. While obviously I didn’t agree with every decision announced on Oscar night it was refreshing and the awards seemed globally well-deserved. Unfortunately due to a blip in my timetable I hadn’t seen Birdman before the ceremony but was quickly determined to rectify that. Birdman certainly doesn’t disappoint. It’s a two hour non-stop rollercoaster film. Thankfully the vogue of 3.5 hour long Oscar-nominated pictures seems to have died down. The visual onslaught of Birdman being any longer would totally ruin the film. As it is the cinematic choreography makes the ride all the more exciting, althought you can’t help but wonder why Iñárritu’s preferred central point for following a character is about a foot and a half below their head at all times. Birdman does occasionally feel like a day in the life of someone shockingly short who never looks up. Thanks to this one-take effect the film has a frenetic, relentless pace that almost feels as if it’s all happening in real-time as it scans through the dark corridors of the theatre. It’s not just Michael Keaton playing a parody of himself. Every character in the film is either an actor or acting all the same. Particular credit needs to be given to the performances of Emma Stone and Edward Norton, both of whom light up the screen when they appear. The boundaries between life and performance have never been more blurred as Norton’s Mike Shiner talks about the importance of truth while manipulating his way into a love affair with lines straight out of some cheesy script. At times characters look coyly back into the camera as we follow them through the theatre, leading us through the hall of mirrors as if we’d stepped into Baz Lurman’s Moulin Rouge. Emma Stone’s ex-rehab daughter character serves as an emblem for a generation who learnt to have online personas before they even had their own personalities, perhaps a bigger con than any that the thespians are trying to pull. 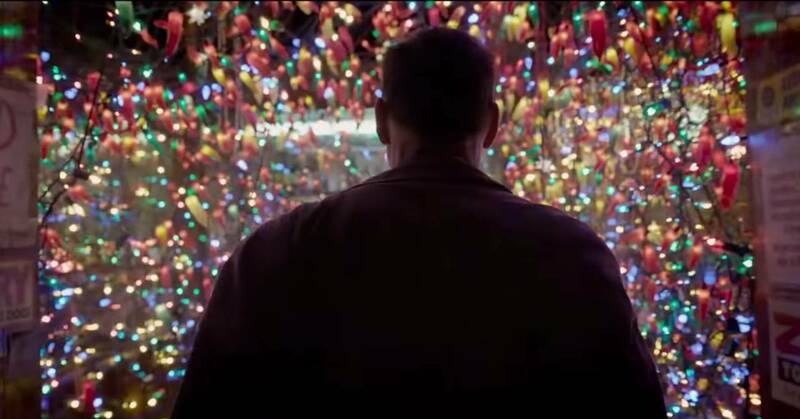 Birdman brings no judgement on its characters, despite them all being broken and borderline insane. Yet Birdman is life put up to be judged by us. It’s like an expression of how these mildly self-obsessed actors would describe their lives if they had the chance, complete with every odd circumstance and exaggeration. The irony of their lives is so beautifully rendered by Iñárritu that in watching you almost feel like you could step back and watch your own life like this. See the beauty and irony in your lowest moments like the joyous fairy lights illuminating the depressed Riggan (Keaton) as he brown-bags some spirit and listens to a drunk recite Macbeth. Clearly this absurdity in life is not a new theme, Shakespeare’s words render it admirably, Raymond Carver’s words heard through the adaptation Riggan writes tell us of it, but Iñárritu brings it into our milieu and shows us a whole range of people just trying to make some sense out of it. It’s telling that the camera only stops at the point when Riggan ultimately sees through these illusions and glamours of the stage and screen in perhaps the only action that has no mise en scene, no pretence behind it. In the end Riggan puts an end to the endless series of images that follow on and on ad nauseam and we’re only left with his daughter’s reaction, one of comprehension and admiration that the curtain can one day fall. This entry was posted in Film Reviews, Gold Screen and tagged Alejandro G. Iñárritu, Birdman, Edward Norton, Emma Stone, Film Review, Michael Keaton, Oscars 2015 on March 9, 2015 by Flo. To celebrate two years of reviewing as many films as I possibly can and sharing them with you, the internet, I will today be reviewing a film worthy of such an honour and many more: Ben-Hur. The most expensive film ever made at the time of release, (as the 1925 silent film Ben-Hur was at its time), William Wyler’s 1959 Ben-Hur is a timeless biblical epic. Yet I would postulate that the great success of Ben-Hur lies rather in its secularity, despite being one of the few films blessed by the Vatican. The story of Ben-Hur is not taken from the Bible and so cannot cross into misinterpretation or blasphemy. Jesus himself, despite having a palpable presence and importance in terms of plot is barely seen. He is, as he is for a modern audience, a silent symbol of peace and hope supported by word-of-mouth. The comparison between the life of Judah Ben-Hur (Charlton Heston giving a virtuoso performance) and that of Jesus Christ is implicit in the narrative despite the sparse presence of Jesus. The audience is meant to draw the links themselves. Judah’s passionate desire for the liberation of the Jewish people certainly places him in the same league as Moses and Jesus in terms of motivation. His persecution at the hands of Romans who believe themselves to be superior to the Jewish inhabitants certainly strikes a few more ancient and modern notes. The difference between the story of Judah and that of Jesus is that Judah is not divine. He, naturally, is drawn to revenge and hatred after his ordeals, even losing his faith in God. He is human, like us and no one, not even Jesus and those following Jesus’ message of love and forgiveness blame him. Errare humanum est. Biblically speaking, Judah is a sinner who has turned away from love in his quest for revenge, even if the revenge was fuelled by love, and he is waiting to be saved by Jesus, who suffers without turning to hatred. 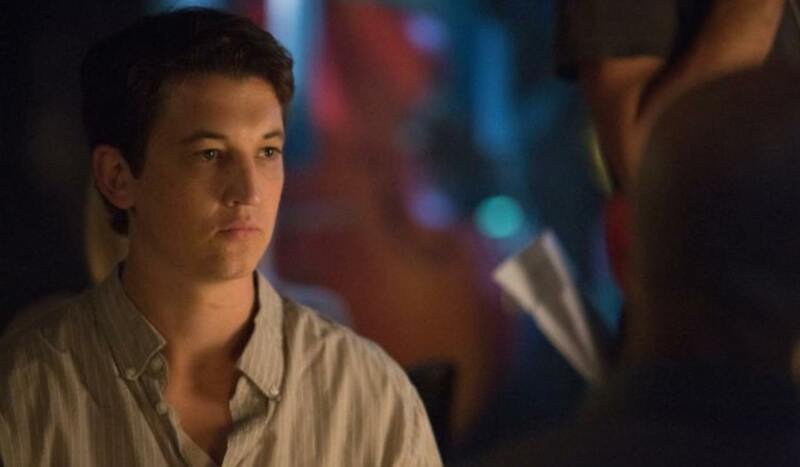 As such the protagonist is not a Christian figure, nor is he a role model. He is an everyman, dealing with his own issues and seeking repose in faith as the audience might. The production of this film is so legendary that it’s almost surprising while you watch the film how intimate it feels. The conflicts are not the conflicts of nations, rather they are the arguments between old friends, slaves and masters and even lovers played out by chance on a grand scale. What elevates this film is that every action set piece has higher, non-related motivations. A James Bond car chase has the motivation of escape or capture and maybe life and death, but these are the inherent motivations of a chase, the objectives could not be reached in any other way. Whereas the Ben-Hur chariot race would still be a beautiful set piece and an exciting spectacle, regardless of the character’s motivations, yet the script is woven in such a way that this race is the dramatic climax of Judah Ben-Hur’s life. Yet given that he is playing not for the title but for dignity and revenge it could be just as easily envisaged as a fencing match or a game of chess. His motivations are those of classical tragic conflict. He’s an Odysseus-figure returning to his family and lost love. Jesus is just the deus ex machina leading to his happy ending in the face of despair. This entry was posted in Film Reviews, Gold Screen and tagged Ben-HUr, Biblical Epic, Charlton Heston, Film Review, William Wyler on January 26, 2015 by Flo. 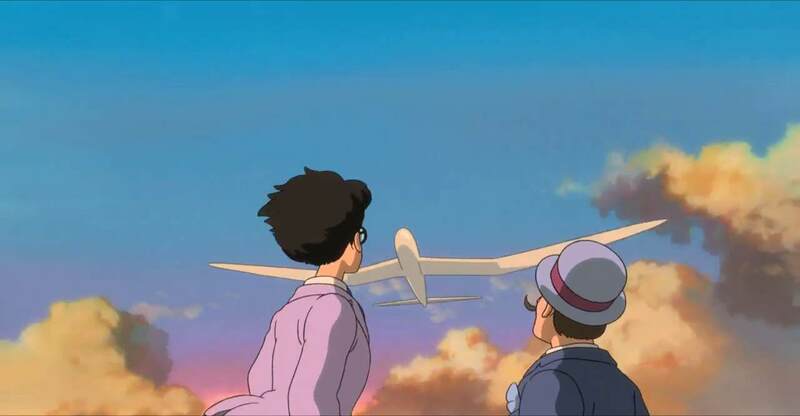 The Wind Rises was blown in from Japan with cries of the sad end of an era, this being Hayao Miyazaki’s last film. I myself was not a fan of the Studio Ghibli films and while this may seem both unlikely and shockingly close to heresy for someone who loves animation as a genre I stand by my opinion. In fact what interested me most about this film was the disappointment I heard from long-time Ghibli fans about the lack of whimsy and magic – precisely something that had always bothered me about Ghibli. It’s true, The Wind Rises is an historical drama and not at all the cutesy fairytale fare the studio has been peddling recently. It’s as if Miyazaki finally had the freedom to make a true, serious film after a life confined to the kids’ table. Elements of this fantasy style remain in dream sequences but the pastel-coloured madness is confined and contrasted to a much bleaker story of Japan in crisis. There’s a subtlety in this film that has seemed absent from some of the more recent Ghibli films like Ponyo and Arrietty. Even the skill of the animation to portray shortsightedness onscreen is laudable. Miyazaki does well to distance himself from the politics of the situation, after all this could be seen as a war film, with the majority of the action taking place around the design of the Japanese fighter planes. Furthermore he places his protagonists in the Great Kanto Earthquake and the tuberculosis epidemic. It’s hard to imagine how a film can remain neutral and universally acceptable with these reference points. However Miyazaki’s angle is far more from the aesthetic and technical perspective. Better yet he stays in an individual and human experience, a human who has a higher purpose than to involve himself in such issues too deeply. Through Jiro Miyazaki explores the difficulty of genius, the art of mathematics and the eternal obsession that ambition creates. After all, if, as the film proclaims, you only have ten years of creativity, what is the sense in spending it doing anything but creating? There are moments where the film gets bogged down in a little too much technical detail for those of us who are unfamiliar and indifferent to riveting techniques but these are few and far between. The rest of the film leaves no room for boredom with its swells of music and elegant animation. The title is taken from a poem by Paul Valery, a call to arms to live, to create in the face of death. The film also delivers just that with great aplomb. It’s a love story, but in the end the love of earthly things, even his wife is not enough for Jiro, an aeronautical engineer. His calling is creation and the immortality that comes with creating beauty. He neglects his sister throughout his whole life and, despite being a kind and generous man, never ceases to spend more time with his aeroplanes than with his dying wife. For Jiro everything in life fades, the cities can be destroyed, peace and war circle on and those you love die. The only constant is the dream that he tries to live, since the only time when the dreams can fade away is when the dreamer is no longer around to dream them. This entry was posted in Film Reviews, Gold Screen and tagged Animation, Film Review, Hayao Miyazaki, Studio Ghibli, The Wind Rises on January 6, 2015 by Flo.